…and you should be too! 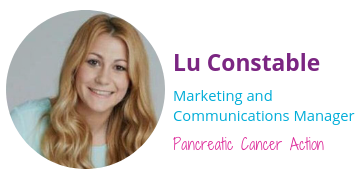 In order to aid early diagnosis of pancreatic cancer, or any cancer, it is important that people feel comfortable talking about their symptoms with a healthcare professional. However, according to our recent survey people are either too busy or too embarrassed to see a doctor about their symptoms. Given that some of the symptoms of pancreatic cancer may be difficult for some people to talk about (for example, a change in bowel habit), it is important that people have a friendly and open setting to discuss these symptoms. This is why community pharmacies are so important. They provide a more informal and relaxed setting for people to discuss difficult issues than perhaps a GP surgery. If more people were aware that pharmacists were available for private consultation – without the extremely long appointment waiting time of a GP – then perhaps more people would consider visiting their pharmacist for ‘minor’ ailments such as tummy ache, back ache and indigestion. The average waiting time to see a pharmacist is apparently 8 minutes* – and in many cases considerably less – and there is no other part of the NHS where this is the case. It is also the only part of the NHS that it is free for patients to spend time with a healthcare professional. Today, people are perhaps more likely to Google symptoms than to seek professional medical advice. We live in an age where people want immediate answers and waiting 2 weeks (if you’re lucky) for a GP appointment just isn’t good enough. For diseases like pancreatic cancer, where early diagnosis is essential for survival, this isn’t good enough either. This is why PCA are committed to working with pharmacy teams to help improve their knowledge of the signs and symptoms of pancreatic cancer, so that if and when a patient presents with symptoms, they can feel confident to help and know what to do. Pharmacy teams can not only spot the potential signs and symptoms of the disease but also understand the risk factors associated with the disease which may be vital in aiding early diagnosis. You are going to the pharmacy regularly to purchase indigestion tablets. Your pharmacist may also notice that you have been losing weight and you seem fatigued. This can prompt them to ask you how you are feeling and if you are perhaps experiencing any other symptoms. This communication is vital. We rely on patients to know that something is wrong and to go and talk to their GP about it. In a pharmacy setting your pharmacist can also approach youwith a concern. 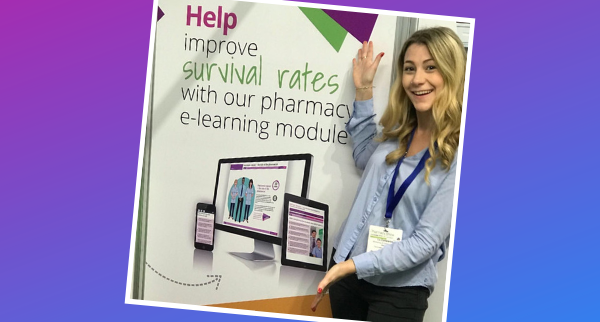 What’s more, with Pancreatic Cancer Action’s free e-learning on the disease, pharmacists can feel more confident in discussing symptoms with a patient. The pharmacist can then sign-post you to PCA for a symptoms diary or advise you to see your GP. Visiting a GP is considered the standard procedure when you experience symptoms that are not normal for you, however, I urge to try and also ‘think pharmacy’ rather than GP – I promise the waiting time will be much more favourable! Not to mention that pharmacists are trained experts in medicine who are more than capable – and happy – to discuss our health concerns with them.